Dr Lewis is a Lecturer in Psychology. 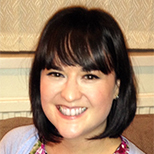 Elisa’s first degree was in English and Welsh Literature, undertaken at Cardiff University. Following a career in arts and government communications, she converted to Psychology at Oxford Brookes University. She then went on to complete her PhD at the Royal Veterinary College and Birkbeck, University of London. Elisa’s research interests focus on the mental health and wellbeing of professional student groups, including veterinary, medical and law students. She also has a particular interest in suicide research, and wellbeing during adolescence and emerging adulthood. Elisa conducts both qualitative and quantitative research, with an expertise in mixed methods. She is a member of the Division of Psychology research group Lived Experiences of Distress. Dr Lewis’s research focuses on the mental health and wellbeing of different professional student groups, namely students of veterinary medicine, human medicine, pharmacy, dentistry and law. The impetus for this research was the heightened suicide risk identified in the medical professions. However, few studies have focused on the students destined for careers in these fields. This is the first research to directly compare levels of wellbeing among these student groups. Dr Lewis has also collaborated on research with colleagues at the Royal Veterinary College, in her capacity as a mixed methods specialist.